While much of the splendor of your landscape may be winding down as the colder weather moves in, now is the best time to prep your yard for next spring. Dividing perennials, adding shrubs and trees, and transplanting some of your plantings now means they will have time to settle in for their long winter’s nap and be ready to burst forth with life and color come spring. 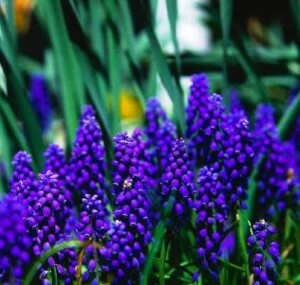 One easy way you can add some early beauty to your yard for next year is to plant spring-blooming blubs right now. You want to get those little plants-in-waiting in the ground about 6 weeks before the ground freezes, but not before overnight temps drop below 50°, so mid-October is a good time. Most flowering perennials take time to come to life when the weather warms up, but many flowers which grow from bulbs emerge quickly as the snow fades, some even sprouting out when there’s still snow on the ground. Snowdrops and crocuses are good examples. They are followed by favorites such as daffodils (also known as narcissus), tulips, hyacinths, alliums, and others. Some bulbs such as lilies emerge a little later. For a full list of spring-flowering bulbs, check out this detailed list from Better Homes & Gardens’ Plant Dictionary. You may choose to have a professional landscape designer handle bulb planting for you, but if you’re an experienced gardener and enjoy working in the dirt, you might want to attempt it yourself. (If you just need some help figuring out a good layout, color combination, and varieties appropriate for your yard, we can design unique planting areas for your landscape that incorporate bulbs.) Put on your gloves, because some bulbs can cause skin irritation. Then get out the hand trowel or bulb planter and have at it. Inspect bulbs first – look for signs of decay, rot, or mildew. Discard any bulbs with damaged or soft areas. Determine an overall planting scheme before digging; then lay all the bulbs in place on the ground. Check package directions for planting depth; it varies with the plant variety. Choose a dry, sunny spot – bulbs don’t let to get their feet wet, and they bloom best when in strong light. Early-blooming bulbs can be planted near trees which don’t leaf out until later in the spring. Break up the soil and add peat moss if it’s too compact; also add a nutrient designed for bulbs such as bone meal. Bulbs should be planted pointed end up. One way to provide ever-changing and constant color with spring bulbs is to place bulbs with different blooming times as well as heights and color in the same area. For instance, you might place the early-bird crocuses in the same bed with daffodils as well as tulips. The daffodils will come out just about the time the crocuses are fading away, and the tulips will be the late bloomers. However, check types, as there are some early-blooming tulips as well. Should You Choose a Naturalized or Structured Layout for Bulb Planting? There are two approaches to planting bulbs – laying out a deliberate plan or grid, or naturalizing. With naturalizing, simply cast a handful of bulbs in the general direction you want them to grow; then plant them wherever they land. Bulbs such as crocuses can be even planted on lawns this way; they will be done blooming well before it’s time to mow the grass. Naturalizing also works well in areas that are filled with ornamental grasses or native plants, but if you’re adding them to flower beds, a deliberate plan is more appropriate. That’s where the services of a MN landscape design architect such as the garden design specialists at ALD can come in handy. Give us a call if you want to add perennial bulbs to your landscape but don’t know where to start.